A corps member, Miss Hilda Amadi, who was participating in the ongoing orientation exercise for new members of the National Youth Service in Kwara State, has reportedly died. Our correspondent gathered on Friday that Amadi was a graduate of Oil and Gas Engineering from the University of Port Harcourt, Rivers State where she hailed from. It was also learnt that there are divergent accounts of the cause of her death; however her autopsy and coronary reports are still being awaited. The corps member, who was said to belong to Platoon Five in the camp, reportedly suffered a bone fracture during a morning drill on April 23 and was rushed to the clinic. Some of her colleagues, who pleaded anonymity, claimed that there was no experienced medical doctor in the clinic at the time she was taken there. They further disclosed that the young lady was later rushed to a government-owned hospital in Ilorin, the state capital, where she reportedly died after her condition deteriorated. “Her leg got twisted during the MAN ‘O’ War training and was taken to the clinic in the camp. But there was no experienced resident doctor, so she was treated by a corps member, who is a doctor. The Kwara State Coordinator, NYSC, Mr. Remigius Amaefule, who confirmed the incident during a telephone chat with our correspondent, said Amadi’s death had left everyone of them in shock. He, however, denied insinuations that there was no experienced resident doctor in the camp at the time of the incident. He said, “At this stage, what we need is to condole with the parents of the girl and let them know that we are very sorry for what happened. 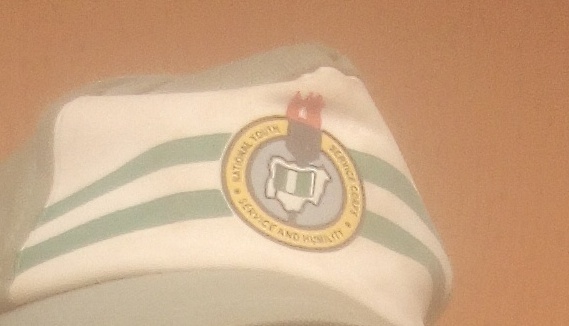 “NYSC, being a responsible organization, does not take the safety and wellbeing of corps members lightly. Insinuations of an experienced doctor not being at the camp’s clinic when she was taken there are not true. “A day before the commencement of camp, which is our normal practice, a consultant from the University of Ilorin Teaching Hospital moves into camp with us. So a consultant had been there. The same consultant saw her, handled her case on that fateful day. It was the same consultant that took her to the General Hospital in Share and later to the University of Ilorin Teaching Hospital.